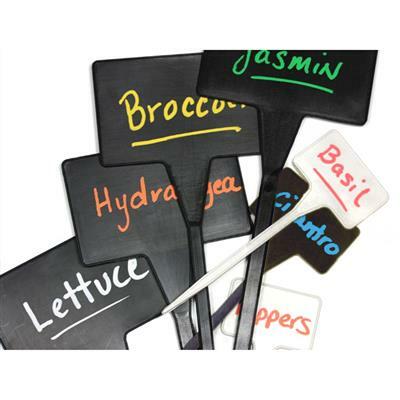 The Garden T-Sign provides cost effective signage for garden centers and nurseries. 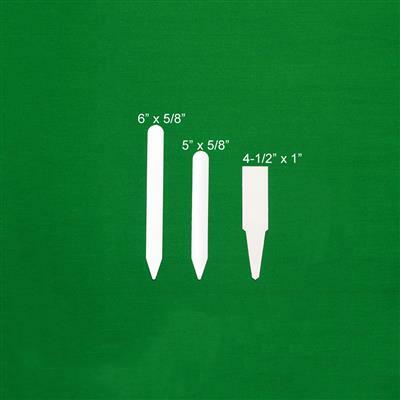 For species identification or POP applications, these Garden T's are easy to write on with the Garden Marker Pens to provide UV resistant, waterproof labeling. 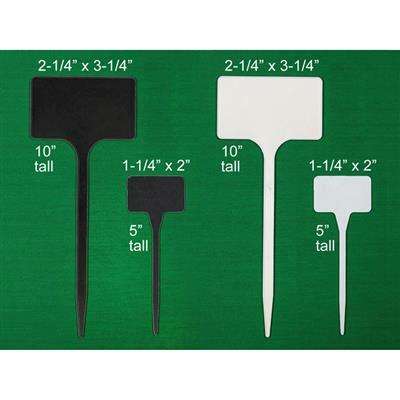 5" tall x 1-1/4" x 2" (writable area) 10"
The Garden T-Sign provides cost effective signage for garden centers and nurseries. 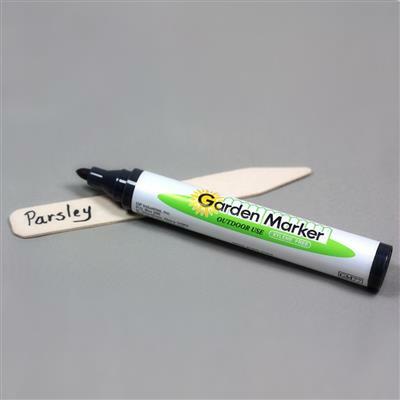 For species identification or POP applications, these Garden T's are easy to write on with the Garden Marker Pens to provide UV resistant, waterproof labeling. was short 1 pack of 2, called, received fast delivery. good product, same as with all GMS orders. Nice labels have plenty of room to right what you want on them. I am labeling my pineapples and need something that will last two years as it takes that long from planting to harvest. These look like they will do the job. They are well made and I like the look of them. The bigger size is easier to get all the information you want on the sign. I got both the smaller size and the larger size. I like the black background with yellow lettering. It really stands out. These black T-markers are exactly what I was looking for. We have placed them in our herb garden identifying the plants and they easily blend into the background, but can be found if you are looking for them. Used white paint markers which withstand the irrigation stream. Good quality. They have only been in use for 2 weeks but they are plastic and should do well for quite awhile. The T Garden markers were perfect for my needs! Just the right size for all of my plant information! These t-tags make very attractive garden signs while not overwhelming the garden or turning it into a sign garden. I started out using neon chalk markers to write on them, but found that due to the relative slickness of their surface, chalk marker walked off with the slightest bit of moisture. Switching to neon paint markers fixed this problem and we are getting all kinds of comments and compliments from visitors to our University Garden. 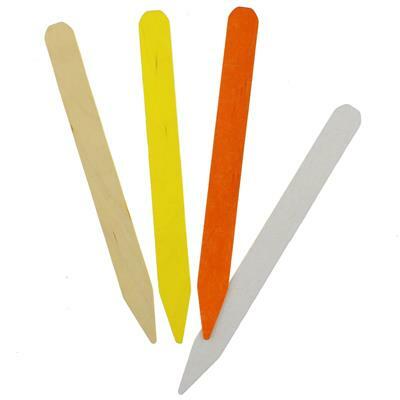 I will be using these markers with stick on numbers to identify cactus in 2 gardens. Easily seen but less obtrusive than the white ones. I really like the look . 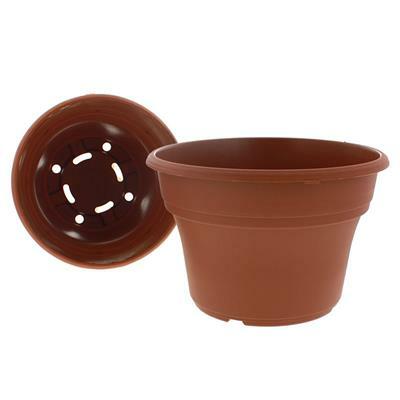 I order plant tags that can be reused in the flower pots that we sell in our greenhouse area. the order came quickly and was correct. The tags are wonderful, we use a grease pencil and then can clean them off for reuse. Like the roomy area to write on. Plenty of room to label your seed starts, including pertinent info. These are great!!! Easy to write on and large enough to record all applicable data. I highly recommend them. I've been looking for these for some time in order to keep track of my planting. These labels are wonderful and provide lots of room for data and the wide range of sizes is super. We purchased these for our research gardens. We needed plant signs that were large enough for the common and botanical name and these fit the bill. The black is unobtrusive in the gardens but the size makes them easy to locate. They look like they will be sturdy enough to stand up to the North Texas heat! I like them so well that I am ordering some for my home to replace the tacky zinc signs I have used in the past. 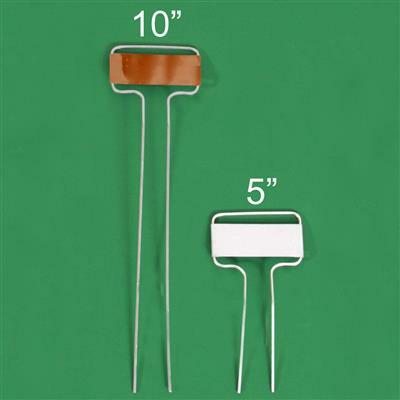 these will work much better than the cheap ones that come in the kits. I'll be able to transition them to the garden and they not get lost. Great buy! Do not buy the 10 inch garden T-sign. They are cheaply made and break very easily below the sign part.I will never purchase this product again. Large, plenty writing surface, very visible. Sturdy construction. Perfect product. 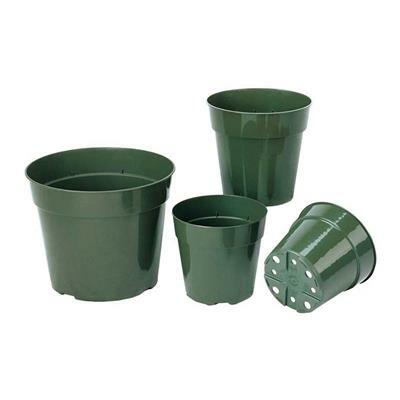 Medium sized for smaller pots, adequate writing surface. Sturdy construction. Perfect product. 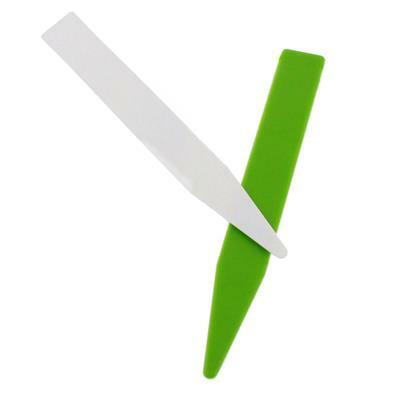 These signs are great for marking plants for any purpose. Two sizes to fit any need. Strong, well made. 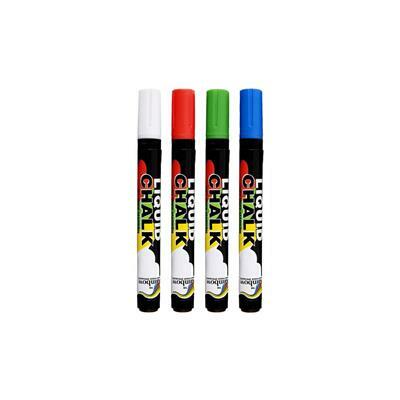 Use these with the Garden Marker Pen. Great.